Greece's economy contracted in the first three months of the year but less than in the final quarter of 2016, flash estimates by its statistics service showed today. The figures were released as jitters over the conclusion of a bailout review hurt business confidence. The data showed the economy shrank 0.1% in the three months from January to March compared to last year's final quarter when gross domestic product contracted by 1.2%. The seasonally adjusted data also showed that the Greek economy contracted at an annual 0.5% pace in the first quarter, at a slower clip than in the fourth quarter of 2016, when it shrank by 1.1%. The Greek government hopes that legislating new austerity measures by May 18 will allow its euro zone partners to approve the deal when they meet on May 22 and to release a new tranche of bailout funds. The government downwardly revised this year's growth projection to 1.8% from 2.7% previously when it unveiled its medium-term fiscal strategy over the weekend. It expects the recovery to strengthen next year with GDP growing by 2.4%. 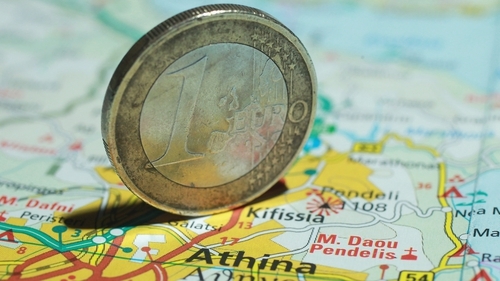 Last week the EU Commission also cut its economic growth forecast for Greece to 2.1% from 2.7%.